DALLAS — Vickery Meadow is the kind of place that makes the news for all the wrong reasons. An impoverished enclave for immigrants and refugees in Dallas, it has long been one of the city’s most violent neighborhoods. Most recently, it drew international attention after Thomas Duncan, the Liberian national who became the United States’ first Ebola victim, stayed at an apartment there. Unsurprisingly, the community received some backlash. Despite Vickery Meadow’s longstanding troubles, newly crowned MacArthur “genius” Rick Lowe believes art can transform the neighborhood. Last year, the artist installed three boxy exhibition spaces in its heart where residents were able to sell their work in weekly bazaars — a populist spin on elite art galleries, particularly London’s White Cube. 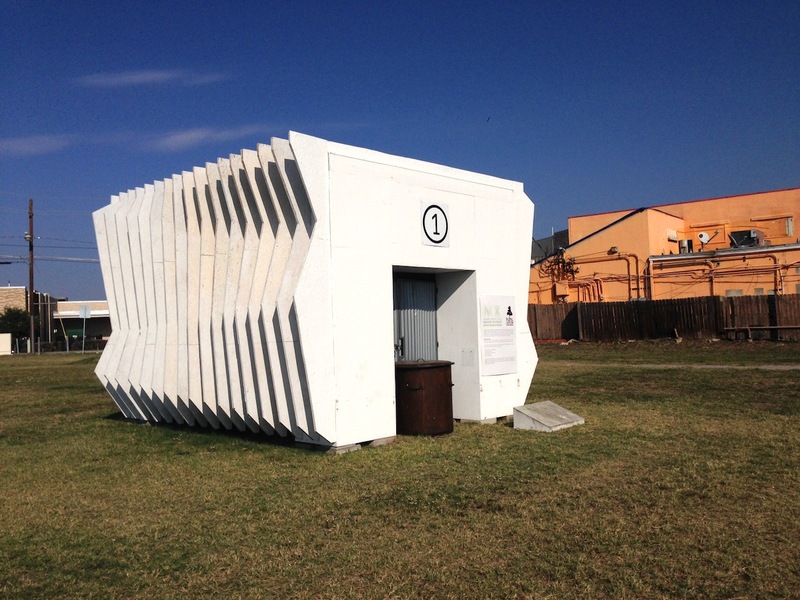 This “social sculpture” was funded by the Nasher Sculpture Center and inspired by the success of Lowe’s Project Row Houses in Houston. Lowe wanted it to empower Vickery Meadow’s marginalized residents, increasing interaction between them and outsiders who may have never set foot in the area before the markets began. The white cubes now sit like beacons on the community’s edge, where Lowe hopes they will pique the curiosity of passersby on nearby Park Lane. On a recent October afternoon, I drove past them and pulled into an unsightly strip mall, where the artist’s office space is wedged between an Ethiopian grocery and a Mexican convenience store. Inside, Lowe was wrapping up a class he’s teaching about social practice for Southern Methodist University. Bustling with nervous energy, his pupils had just returned from the middle school across the street, where they’d met with the art teacher and principal to talk about incorporating student artwork into a project about the Ebola outbreak. The students dispersed, and Lowe plopped down wearily on one of the studio’s two gray couches. Since he lives in Houston, he drives three hours each way to teach the class, but his exhaustion didn’t dampen his generous spirit. Opening a paper Whole Foods bag, he pulled out some grapes and offered me some. “They’re holiday grapes,” he remarked, and we began to talk. Laura C. Mallonee: The class you’re teaching at SMU is called “Art and Social Practice,” yet you’ve been hesitant to describe your own work in that language. Why? 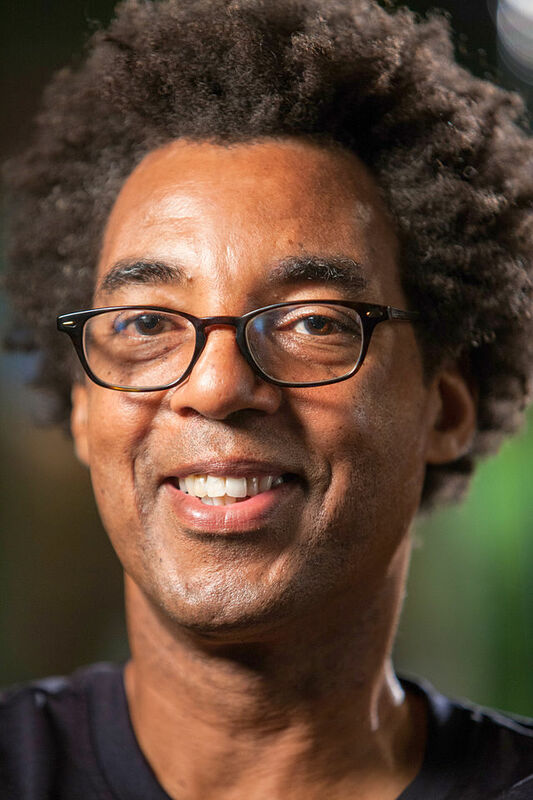 Rick Lowe: Language is part of the way we grow and how we expand our thinking. But “social practice,” for me, expands that thinking in a way that’s very political. It shifts the focus from a specific place and people and communities to just this broad notion of “social.” It takes out the issue around equity and justice. I challenged Creative Time a couple years before about this award they give. They give this award called the Leonore Annenberg Prize for Art and Social Change. So I asked them, “Why not social justice?” Because “social change” has no real position. It’s neutral, you know? And I know the art world likes this neutrality, not taking particular sides. LCM: Why do you think that is? RL: I have a sense that it comes out of the power dynamics of the art world. The art world exists on the backs of wealthy people, not on the backs of working class people. So utilizing language about justice is a language that would most commonly be used by people from a working-class perspective, as opposed to upper-class perspective. Taking justice out of the social, in terms of “social change,” is complicated because it depoliticizes the social, in a way. Then “social practice” also depoliticizes it, because “community” generally references lower-income people. LCM: And yet, wealthy people tend to fund your work. RL: The wealthy people I’m connected with are people connected to the socially driven and community driven mission of my work, so there’s a certain compatibility there. But people who are paying hundreds of thousands of dollars for art objects may not have that same vision. LCM: While we’re on the subject of how artists choose to talk about what they’re doing, how do you feel about the term “activist”? RL: From my training and my perspective, to use the description “artist” as “activist” is not a problem. I embrace it. It fully describes my intentions. Whereas a lot of the artists engaged in social practice don’t necessarily embrace the notion of activism. LCM: Obviously, you also clearly identify as an artist, though some people have attacked your work as being outside of art. How do you respond to that? RL: As an artist, you want to be called what you are. But I also understand that I’m not playing fair either. I’m pushing the boundaries, and that comes with the territory. People don’t know where you are, and they’re grappling with it. I take it. But that’s one of the really nice things about the MacArthur award. It legitimates the work. LCM: Any ideas what you’ll do with the $625,000 prize? RL: I won’t spend any of the money until I get a sense of what I’m going to do with it. This is an opportunity for me to allow this money to be there until something evolves, bubbles up, makes sense. There’s no pressure, like the pressure artists put themselves under around doing projects. It’s like this social practice class. We need to have a project that we’ve done, because that’s the way a class is structured. But life is not necessarily structured that way. It’s finding a balance, because you can’t sit back and say, “Oh, I’m just gonna wait for the moment.” You have to be actively pursuing things, but also allow things to come at a time that’s more natural. LCM: Kind of like this interview. We’d planned to do it over the phone, but it got delayed, and then it turned out we were both in Dallas at the same time, which is so much better. RL: And now here you are — you’re actually in Vickery Meadow. LCM: Right. 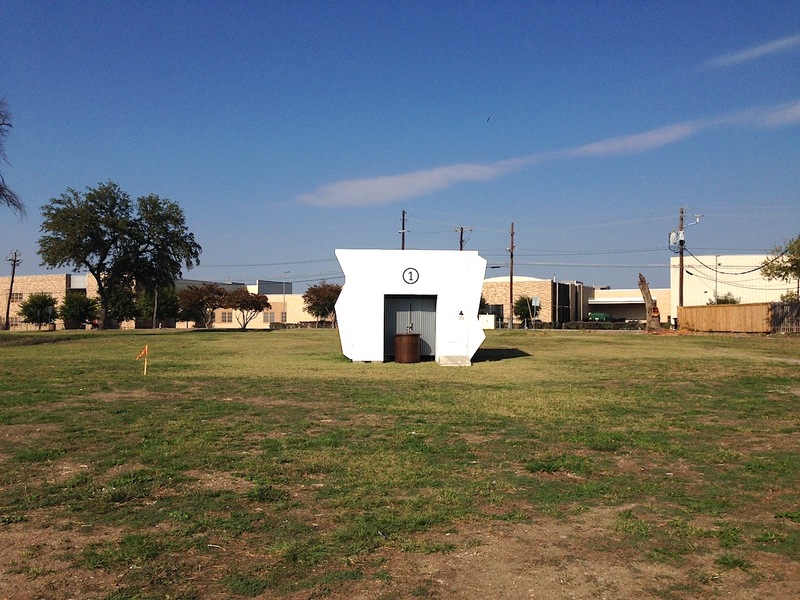 Speaking of which, how did you start working in the community-driven vein of your project here in Vickery Meadow? RL: My early work was very politically motivated: figurative painting that was trying to take images we see in popular media and recontextualize it so that people could see it in a different way. But I also had an interest in pushing beyond that. So, I would organize the exhibitions in the context of political rallies. I’d connect them to Amnesty International Human Rights Week. Or at peace rallies, I’d show up with my work. Another time I was volunteering with a group that was advocating for justice around police brutality in Houston. And at a low point of the rallying, I suggested to them that I would build an installation, and when they saw it they asked, “Can we host a press conference inside of it?” And it worked because it helped to get the issue back on the radar, because it was a different context. That was in the early 1990s. I eventually got to the point where I would design my installations and also organize the rallies myself. LCM: Did any artists influence you as you left traditional media behind entirely? RL: I stumbled on Joseph Beuys’s concept of social sculpture, and that became a platform for me to think about how I could work in a way that didn’t necessarily use the traditional media. It actually linked so much more clearly with my activist tendencies. So I embraced that. It was much more about trying to figure out how to identify the aesthetics within things that were interesting to me. And that’s a lot of what Duchamp also pushed: where are the aesthetics in ordinary objects? How do you find them? And is it something that is just a matter of how we adjust ourselves, position ourselves, to see the aesthetics in something like a neighborhood? So that became really meaningful for me. LCM: You sometimes tell a story about how a high school student touring your studio challenged you to use your creativity to actually create a solution, which was the ultimate catalyst for you as an artist to begin creating the kind of work you do now. Do you think more artists should be working to bring about real change as you’re doing? RL: I don’t put the responsibility on artists to do it. But I do believe that in order to address the issues we face, it takes a lot of creativity combined with empathy, compassion, and passion. And I think that if you lay out all those things, artist have a tendency to focus on those things. The creative side is only one side of it. There are creative people in the sciences, technology, business, but the connection to humanity, to the poetics of life — that gives artists a leg up on being able to address those issues. I think it’s a natural place for artists to be. But I don’t think every artist has to do it. 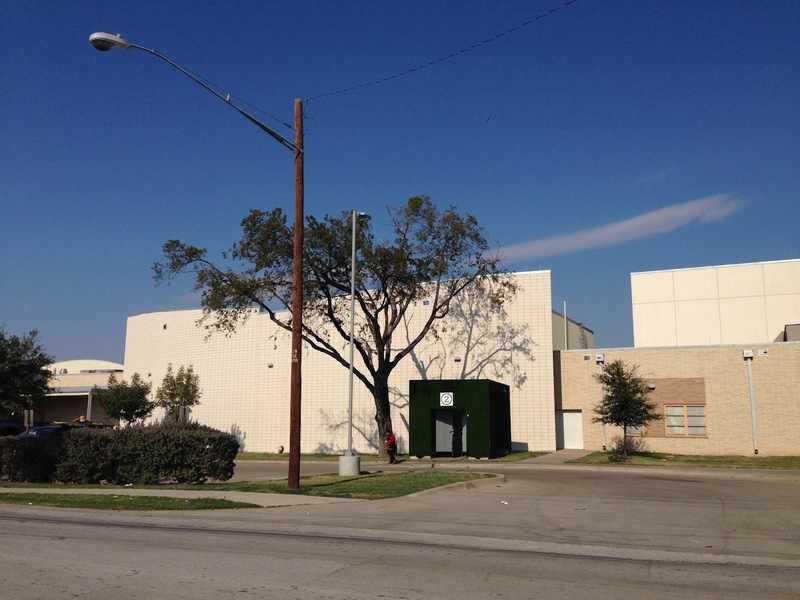 One of Lowe’s three galleries, now painted green, sits beside a middle school in Vickery Meadow. LCM: What kind of impact have you seen as a result of your work? Seeing Assata engaged in this community, though, she almost immediately started to respond differently to things. Whereas before she was always an angry, aggressive rabble-rouser, at Project Row Houses she was just observing things. And I later asked her why she’d come here, and she said she’d just made it to bottom and had no where else to go. So she just gave it a shot. She was on academic probation when she came into the program, and that first year she got off, got reinstated in the school, and she finished her last two years at the University of Houston. The anger had dissipated. Then she got a scholarship to a PhD program at Penn State, which she finished in five years. She taught at the University of Pittsburgh for about four years and then called up and said she was tired of the cold and wanted to come back. So, she became the mentor of the young mothers. She was later recruited by the mayor and was appointed to be a commissioner on the housing authority. Her doctorate is in sociology, and she’s my mentor now. LCM: How did Assata respond to the project as “art”? RL: Assata embraced what it meant to be in an artist’s community. She can speak so articulately about what art means to her and how she is an artist in her own way, and with the young mothers in the program, she promotes this idea that each young mother should look at their life as a sculptural process — that with each thing they do, they need to attend to it with the same attention that a sculptor pays to each stroke he carves. She speaks very beautifully about that. LCM: Is there anyone like that here at Vickery Meadow? RL: There’s a homeless guy named Jonathan we call the Plant Man. He figured out how to take plants that the corporate groups down the street would get rid of when they started to wither. He’d take them and bring them back to life and push the plants around in his grocery cart. And as we were doing the markets here in 2013, we talked to him and told him how what he was doing was unique and we wanted him to be a part of [our project]. And now he hangs out and calls himself an artist. He’s in Harrell Fletcher’s People’s Biennial in Detroit this year, an exhibition of nontraditional artists. LCM: That’s really cool. So, what’s next? 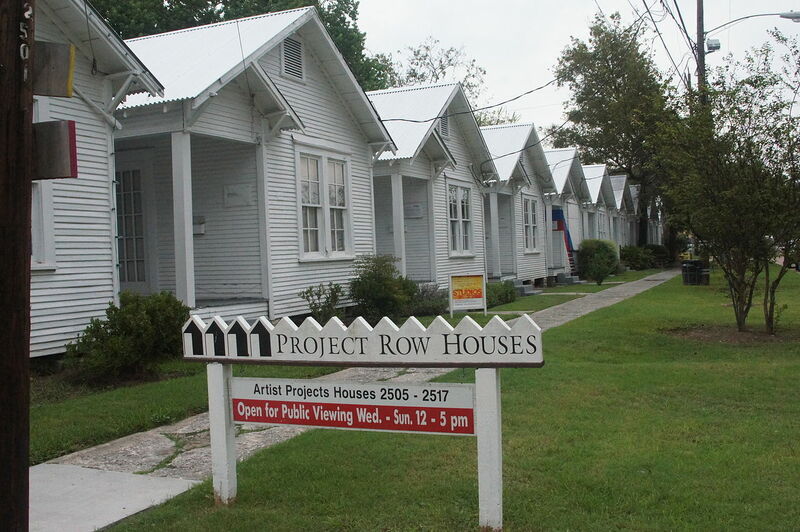 RL: At Project Row Houses, we’re actually adopting the white cubes for our area. They work as an exhibition space, but then we’re also going to test the possibility of them working as light infrastructure commercial space. We could build these little cubes for a small amount of money and very affordably lease them to artisans or little neighborhood businesses to set up and test and see if it grows. And if the businesses thrive there, it will give us the opportunity to move the cubes and build something more permanent. It’s like a food truck, but the difference is that with the food truck there’s no commitment to location. It has its own wheels. What we’re trying to do at Project Row Houses is make a statement about being in a place, like, “This is the place where we are.” And not having those wheels is a big part of what we are.